Charles had consolidated the French lands in the West. Now it was time to plunge his sword into the heart of pagan Europe. Though tragedy had occurred in the mountains, Charles was impatient to move onward. After a quick goodbye to his wife and another son named Pepin, Charles marched his armies into southern Germany. It seems that once one begins to conduct warfare the enemies come to you. The ruler of Bavaria was married to yet another one of Desiderius' daughters, who convinced him to attack Charles in the name of revenge. Bavarian troops swarmed the eastern countryside, burning and looting as they went. Charles's soldiers quickly defeated the spread out troops, leaving the few who lived scrambling to return to Bavaria. The duke knew when he was defeated. He asked for the mercy of the Frankish king offering hostages and allegiance to Charles. Charles could not allow such insolence to continue. After summoning the duke to his presence, he was not allowed to leave. The duke would never again leave Aix in his lifetime. Charles distributed the new land among his followers, and turned his eyes home. Pepin (this is why names are so confusing, when somebody gives the same name to several of their children it becomes an utter mess) had revolted while at home, conspiring with the nobles to take the throne. It was hardly a fight as Charles put down the revolt with brutal ease. Pepin died in the fighting, much to Charles's dismay. No matter what had happened abroad, Charles loved his family. He kept all his relatives in his capital at Aix where he cherished what little time he enjoyed there. Pepin's death shook him. But he would not stop fighting - his duty now was to the Catholic Church. Charles reconciled himself, and returned to Italy. The people of Italy were like a boiling cauldron ready to tip over at any minute, as demonstrated by their constant infighting. It was time to defend the Pope once again. Unfortunately, his old friend Hadrian had died, and he was replaced by Pius. By the time they had dealt with the rebellion, winter had come. He and his men settled down to winter in Rome. On Christmas Day, Charles arrived at mass. At the end of the service, Charles prayed at the altar - maybe for the soul of his son Pepin, who betrayed him, or another member of his family he cared for. Regardless, Pope Pius sneaked up on Charles and placed a golden crown on his head. Likely startled, he stood up. Pope Pius said, "Hail your Emperor and Augustus!" The Romans cried in response, "To Charles Augustus, crowned by God, the great and pacific emperor of the Romans, life, and victory!" Thus was founded the renewed Western Roman Empire, restored at last, 400 years after its fall. Charles hated it. He later said that if he had known what Pius was going to do, he would have skipped church, even if it was Christmas. He got over it eventually, but never quite got accustomed to being the Holy Roman Emperor. He was now, Charles the great, or Charlemagne. With his new title in hand, Charlemagne wielded sword and cross in the name of God. His armies marched forth and defeated the whole of modern day Netherlands, Germany, Czech Republic, and Denmark. All of the nations living in these areas were pagans worshiping the Germanic gods of Odin and Thor. Charlemagne could not abide by this. Thus began the force-conversion, one of the saddest times in Church History. Caught up in his devotion to God, he neglected the proper means of conversion. To every captured pagan a choice was given: Baptism, or Death. 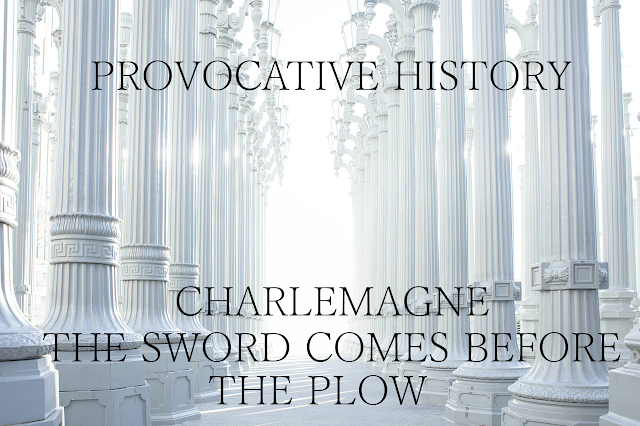 These actions are some of the most controversial things about Charlemagne. Scholars and Church Historians alike argue and debate about these acts. On the one hand you have a patron of the fine arts, a builder of great architecture, and a family man. On the other hand you have a conqueror, despoiler, and force-converter. At the end of my research, I have determined this simple fact: no human is perfect. The only person to live a sinless life was Jesus, and Charlemagne was definitely no Jesus. Even those who were least sinful, and thus closest to God, sinned. Moses could not command the rock to give water, David was not faithful in marriage. Charlemagne's motives were misguided. He used his end (conversion of all Germany to Christendom) to justify his means (slaughtering all who did not accept the faith). In this, Charlemagne was ruthless. This ruthlessness, however, was a product of his times. Many strong rulers had to make tough decisions. That doesn't make their decisions ethical, but they did what they thought they had to do, and that takes a certain kind of conviction in what you're doing. Right. It was important we got that out of the way before progressing further. After dealing with the Saxons (for now), Charlemagne turned his gaze farther East. The Holy Roman Empire, risen from the ashes of the Western Roman Empire faced its downfall: the Huns, living in modern day Hungary (yes, that is where the name comes from). The Huns's power was a far-cry from what it was under Attila, but they were still a mighty people. Charlemagne's ancestors, however, had taken care to even the odds. The Frankish Military could match the Huns blow for blow. Nevertheless, Charlemagne prepared for over a year. Supply wagons, weapons, further training, maps of the region - everything needed for an excellent campaign. After fighting one battle, Charlemagne left his son in charge of the war. Five years later, the Franks seized the bloody victory. Though they themselves suffered relatively few casualties, the Huns and their kin, the Avars, died by the hundreds of thousands. The remnants of the two tribes became Christian and placed themselves under Charlemagne's thumb. Apparently, Hungary at the time was the modern equivalent of the California Gold Rush, but with an immediate payday. Every Frank became fabulously wealthy. 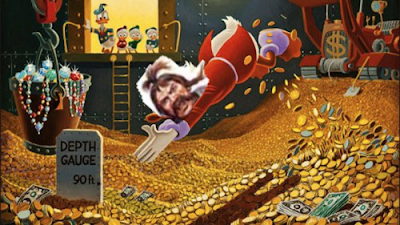 Up until that point, the Franks had just been some tribe, a bit more warlike than their neighbors, and with a lot more land, but now they had some serious cash. After a bit of business in Scandinavia, it was over. Over the course of 47 years, in his lifetime, Charles had conquered, looted, and converted an empire that matched that of Caesar's. Tune in next time when Charles takes a more diplomatic approach to exterior matters, and begins working on the greatest of his monumental influences: education and architecture.